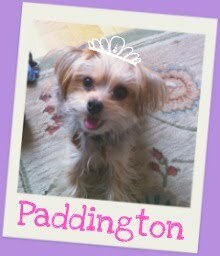 Barkzilla: A Savvy NYC Dog Blog: Trixie & Peanut Doggie Designer Sale! Trixie & Peanut Doggie Designer Sale! Very few things make us as excited as a good sample sale! 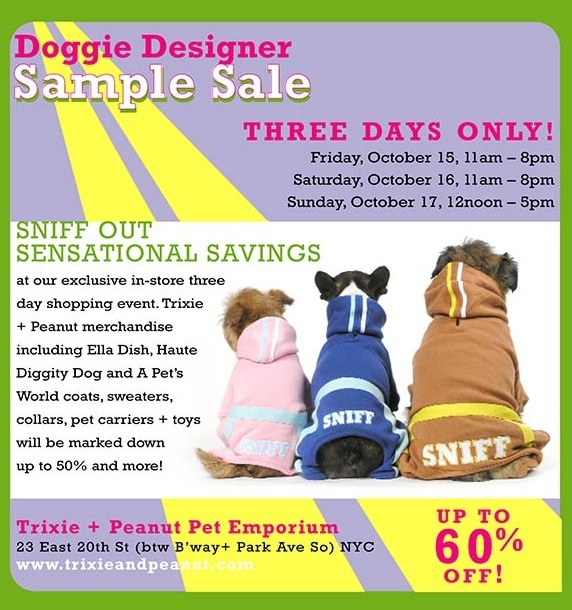 Trixe & Peanut's bi-annual Doggie Designer Sample Sale is DEFINITELY something that should be on any responsible Barkista's calendar. From October 15th thru the 17th, this posh purveyor of puppy accessories and attire will be offering up to 60% off of merchandise from brands like Ella Dish, and Haute Diggity Dog. While it can be a little bit of a madhouse, it's totally worth it-- in the past we've scored great deals on winter coats and carriers. Our advice is to go early during the sale and make sure to bring your pup for sizing as all sale items are non-returnable. A must for any bargain hunting hounds and their owners. Howl-o-Ween at The Salty Paw! Meet the Breeds in NYC! Let Them Eat Puppy Cake!